Growth Hacking is considered to be the NEXT LEVEL thing in Digital Marketing. Join the most Happening & latest (2019) Course on Growth Hacking with Digital Marketing. This course will help your Business, Profession and Career to the next level. Discover how big enterprises like LinkedIn, Pinterest, Instagram, Uber, Snapchat, Twitter started and the growth hacking techniques they followed and implemented in the initial stages of their startup. LearnGrowthhacks, Growth Hacking Tools, Digital Marketing tools, Marketing strategy, Growth hack marketing & Growth marketing. The course consists of short & precise videos to learn Growth Hackingthe most effective methods to be used in any online Marketing Business. If you are a Business owner, a Digital Marketer or a student, then you don't want to miss out this opportunity to learn the power of these cool Growth Hacking techniques which can boost the conversion rate, sales, lead generation, Opt-in rate upto 200+%. The Bonussection includes specific Growth Hacking tools related to SEO, Traffic Acquisition, Lead & Customer Acquisition, Market & user research, Social Media etc. Learn from a Digital Marketing Expert & Trainer and Growth Hacker, Kapil Chopra (Google Adwords, Analytics, Microsoft Bing, Twitter flight school & Social Media certified from HubSpot Academy). All Videos are on-screen training so anyone can easily learn and implement it. Note: The course is frequently updated and new resources, links, Pdf's are added regularly. 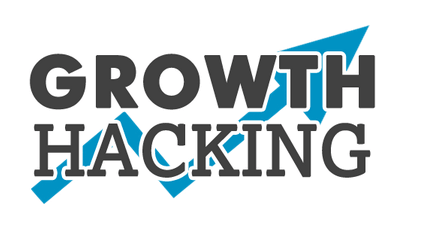 Section 1 : What is Growth Hacking & what are the different stages/Tools of Growth Hacking ? Multiple choice Quiz - Lets test what we learned ! Hello, I'm Kapil, Founder & CEO of Smart Marketing Tribe I am an online Marketing Geek and a Strategic Online marketing expert with a strong blend of creative & analytic skills, helping/educating businesses, individuals to grow online through proven methods. I am Google Ad words, Analytics, Microsoft Bing & Social Media Certified from HubSpot Academy. I like to welcome you to my exclusive course at Learnfly, I am 100% confident that you will get value for the time you spend on this course. I am quite excited and can't wait to see you inside the course. Looking forward to it !